Looking for a place for your child to play soccer can be a big decision, and with a number of different clubs and products out there it can be quite confusing in what path to take. As you look at clubs like Northwest United you may see the word 'premier' and think what is premier soccer? There are a number of different organizations and leagues within soccer and Washington State, but the biggest and highest level is with Washington Youth Soccer. Washington Youth Soccer are apart of US Youth Soccer, the largest youth sports organization in America. Working with the United States Soccer Federation, they provide players with the opportunity to play at the earliest yet highest levels. To have opportunities to these high levels under US Youth Soccer, Washington Youth Soccer operate the Regional Club League (RCL). Founded in 2010, Washington Youth Soccer’s Regional Club League (RCL) is comprised of the top 20 clubs in the state and provides the highest leve ofl league play and player development. Premier soccer is defined by Washington Youth Soccer as the highest level and most competitive soccer within the state. With Northwest United being a member of the RCL, we now provide the best opportunities and programs for players to play at the highest level. Beyond this league our club also has access and competes in the Far West Regional League, the premier league of US Youth Soccer's Regional IV (Far West). 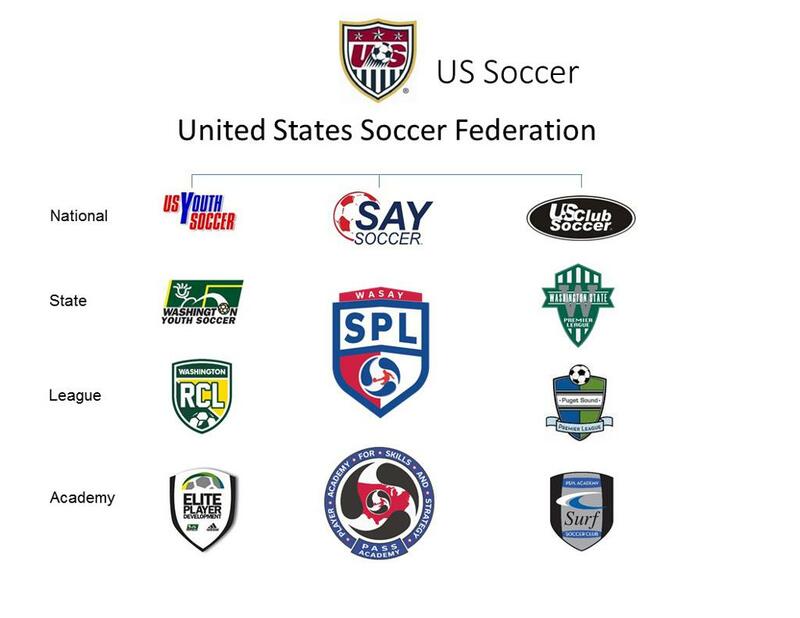 Succesful teams within this league then progress to the US Youth National League, the prestigious tournament that hosts the best clubs and teams in the country! US Youth and Washington Youth Soccer clubs are also the operators of the US Soccer Development Academy, one of the highest levels of youth soccer. Below are a number of different leagues and organizations within Washington State. Being apart of US Youth, Washington Youth Soccer, and the Regional Club League means that your child will have the opportunities and pathways to play against the best and highest profile teams across the state and country.